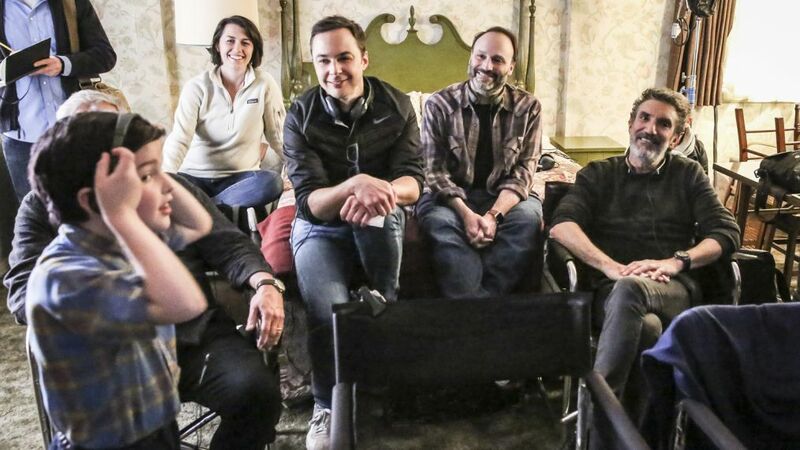 “Those dinner scenes tend to take hours,” Molaro reports, adding that the actors (seated, clockwise from left: Montana Jordan, Armitage, Lance Barber, Zoe Perry and Revord, with director Mark Cendrowski) pace their eating while filming multiple takes. “Sometimes I need to be reminded that Sheldon takes small, careful bites!” Armitage says with a laugh. It doesn’t take a genius to see why CBS’s Young Sheldon, which follows 9-year-old Sheldon Cooper (Iain Armitage) and his down-home, East Texas–based family, is the No. 1 new comedy of 2017–18. The prequel to The Big Bang Theory offers a fresh look at a favorite character—and having Big Bang’s Jim Parsons, who is also an executive producer, narrate the sitcom as adult Sheldon doesn’t hurt either. If you're loving the prequel adventures of Sheldon Cooper, we'll be getting much more of the popular sitcom. Sheldon and his twin sister, Missy (Raegan Revord), face more challenges in the March 1 episode, when they get to stay home alone for the first time. So what goes into making the hit show? Armitage and Molaro give us a peek from the Burbank, California, set. Click through the gallery above!